Sunset at Rattlesnake Arch is an amazing sight. From this perspective overlooking Rattlesnake Canyon, the sandstone bridge makes its way across a vertigo-inducing drop. 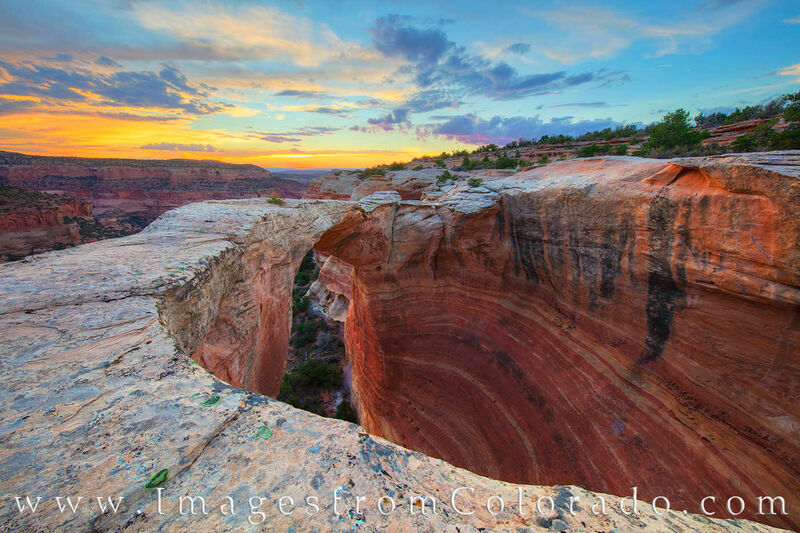 Found in the McInnis Canyons National Conservation Area, this remote site west of both Colorado National Monument and Grand Junction offers 9 arches of varying size and shape and is worthy of the challenging trip it takes to reach this place.